I am very thankful this time of year. Do you know who I’m very thankful for? YOU! I am so thankful that I get to sing with you every week! I know that you all are also thankful for the Primary songs. This week I didn’t prepare any music for us to sing. Instead, we are going to sing the Primary songs YOU are thankful for. YOUR favorite Primary songs! 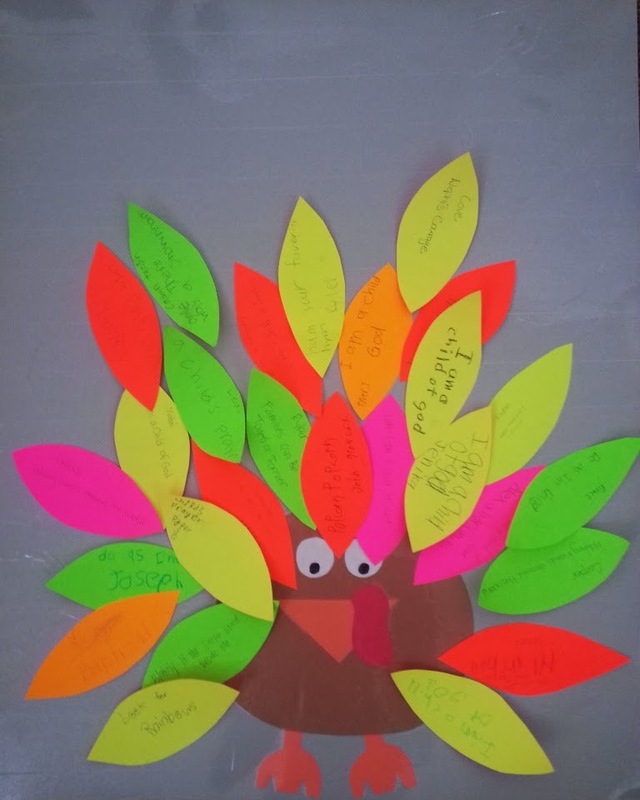 This is our Thankful Turkey. We will take turns singing our favorite songs. We’ll pick a feather. Whoever’s feather it is, we will sing their song. They can lead it for us if they want to. They can choose if we will clap the rhythm or march or just sing. It is their choice – however, please remember that we are in the church and it needs to be reverent and respectful. We might get to sing some of the same songs a few times because people might have the same favorite songs. That’s okay! If we don’t get to all of the thankful song feathers this week I’ll bring the thankful turkey back next week.